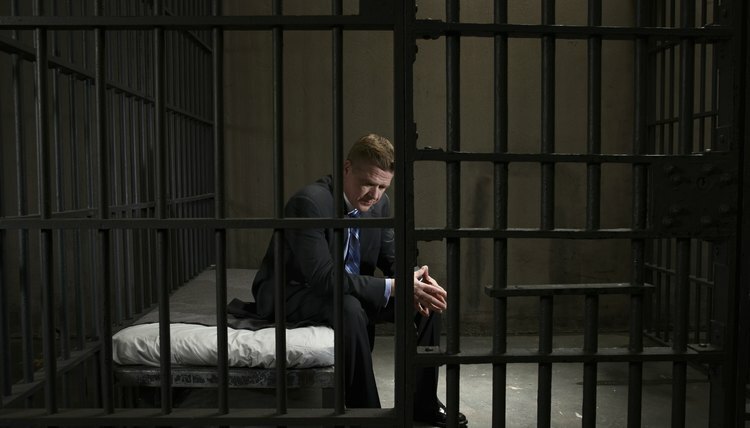 Your spouse's incarceration should not have much of an effect on your ability to file for divorce. Florida's petition for dissolution only requires that you provide an address for him if he is the father of your children. If this is the case, you can simply use the prison address. Provided that one of you has lived in Florida for at least six months, you can file in any county in the state. Florida has only two grounds for divorce – irretrievable breakdown of the marriage or mental incompetence – so your spouse's incarceration generally would not be a factor in petitioning the court for dissolution. After you file for divorce, Florida law requires that you serve your spouse with a copy of the petition and accompanying paperwork. His incarceration should not be an impediment to this process. You can ask a private process server or the county sheriff to deliver the documents to him at the prison. And, if he doesn't object to the divorce, you can mail him your papers along with the form called a waiver of service of process. If he agrees to sign this waiver and returns it to you, you can file it with the court rather than needing to use a process server. Regardless of which of these methods of service of process you use, your spouse has 20 days to file a response to your petition with the court. He can do this from jail, either with the help of an attorney or on his own. If you have children, Florida law mandates that both spouses attend a parenting class, and possibly mediation to help you reach an agreement on a parenting plan. Your spouse's incarceration may present a roadblock to these requirements because both parents must attend in person. You can get around this rule, however, because Florida law considers incarceration a special circumstance that allows a parent to attend an online parenting class instead. If the incarcerated parent doesn't have access to the Internet, the court can waive this requirement on the ground that he's unable to complete it. Your spouse would have to file a motion with the court for this exemption. If he refuses to do so, speak with an attorney to find out if you can file the motion yourself. The fact that he's incarcerated will, in most cases, be reason for the court to grant you custody – at least temporarily while he's incarcerated. Incarceration, by itself, may not result in termination of his parental rights. Florida judges decide such issues on a case by case basis. When a spouse is incarcerated, most Florida courts handle support issues differently than in standard divorce situations, depending on which county you file in. If you and your spouse own sufficient marital assets, the court might award a disproportionate share to you, giving you more of the marital property to compensate for not receiving support while your spouse is in jail. Some counties may waive the requirement that he must pay you until after his release. If you have concerns about support issues, speak with a lawyer in your county to find out where you stand. If your spouse doesn't file a response to your petition for dissolution, you can file for a default divorce 25 days after he was served with your paperwork. After the court has approved your default request, you can schedule a hearing to finalize your divorce. Otherwise, if your spouse contests the divorce, and you're unable to negotiate a marital settlement agreement with him while he's in jail, it's possible that he can participate in required court hearings by telephone. He must file a motion with the court for this special consideration and will probably do so in order for the court to hear his arguments. Wood, Atter & Wolf: In Florida, Can You Successfully Terminate Parental Rights Because the Father is Incarcerated?